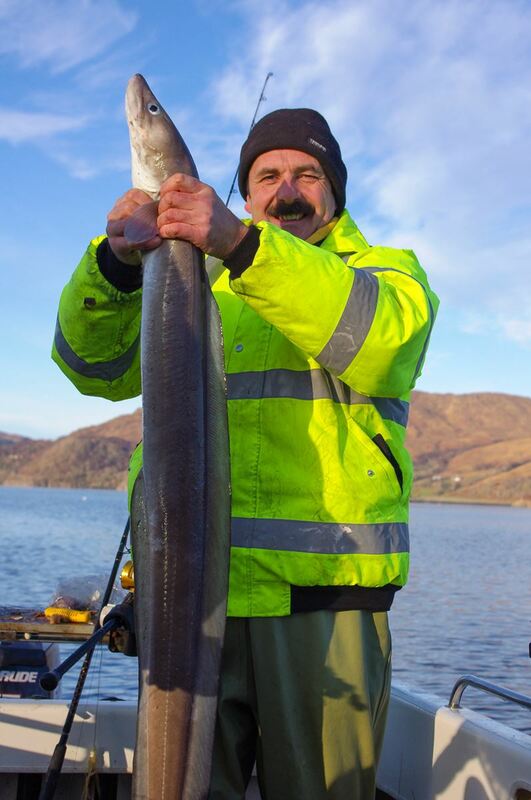 After spending a long day on Loch Sunart with little more than dogfish to show for the effort it can sometimes be hard to see what the attraction of the place is. However, although it can be a frustrating place to fish, it does hold some very large skate and some of the largest spurdog in Scotland plus respectable conger and thornback rays. A daytrip is possible from Edinburgh, but it’s a long day and I usually prefer a two or three day expedition. You can launch from several locations, including Strontian (good, free, but a long way from the fishing), Resipole (awkward, chargeable, close to decent fishing) or Salen jetty (easy, chargeable, close to decent fishing. Watch the reef!). The loch is more exposed than Etive, a fact which needs to be kept in mind in winter, and also has some shallow water areas to the east of Resipole (have and use the chart!). 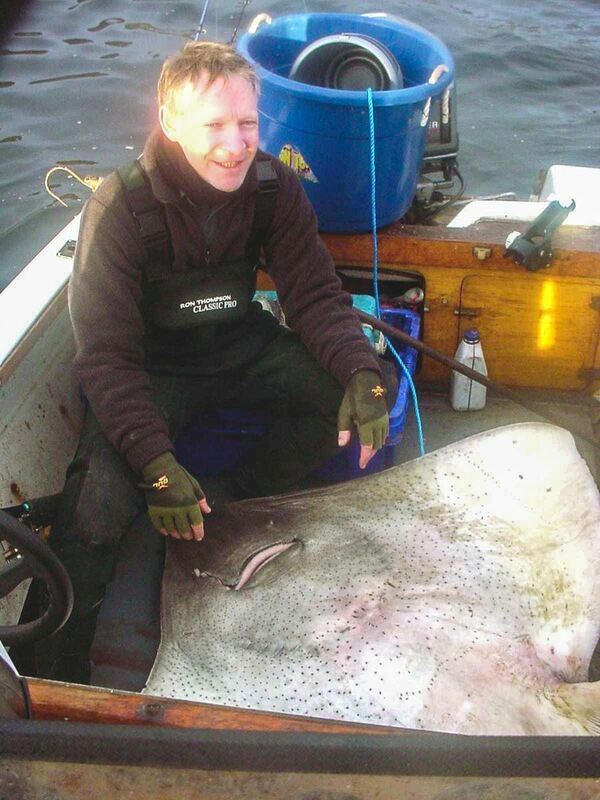 Common skate can be targetted in Sunart, although they often take small baits aimed at spurdogs. 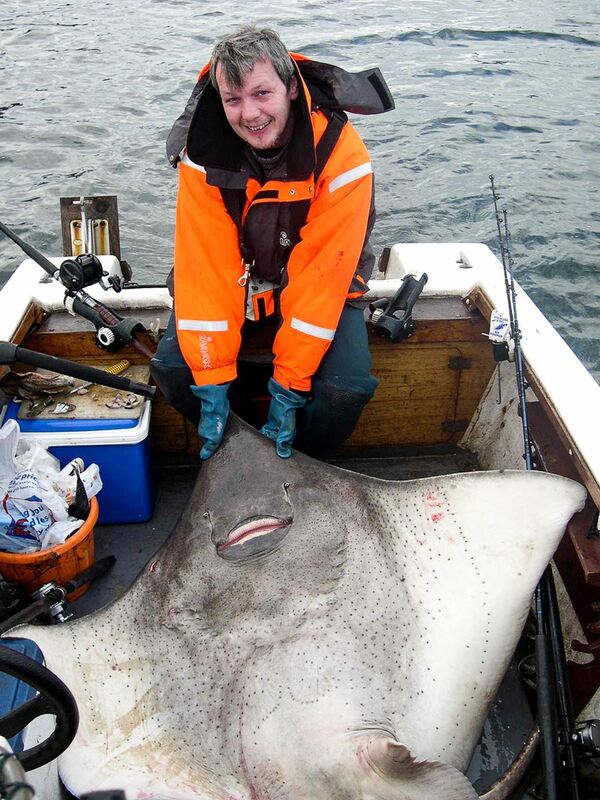 Most skate are small (<50lbs), but they certainly get close to the 200lb mark and I’ve seen them to 185lb on my boat. 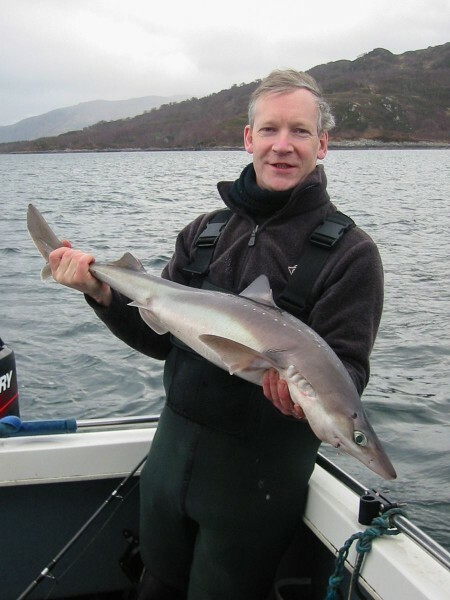 Spurdog can exceed 20lbs, although most are far smaller, but they are relatively few in numbers compared to Loch Etive. In recent years their numbers seem to have dropped sharply. Conger exist in decent numbers to at least the high-20’s. 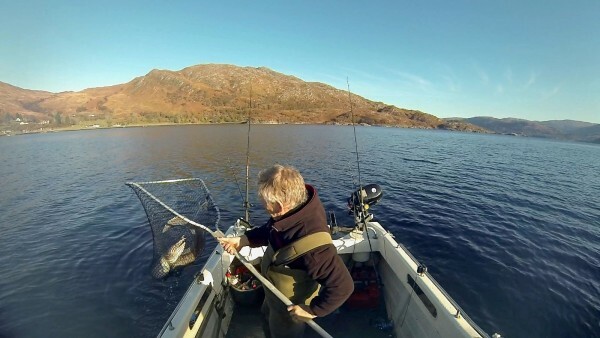 As with Etive, the best tactics are to anchor; put a modest sized mackerel bait (or squid/bluey according to preference) hard to the bottom; and wait. Most anglers target the deep water holes around 400 feet or so that are found from Resipole down to Laga Bay, moving around until they hit fish. 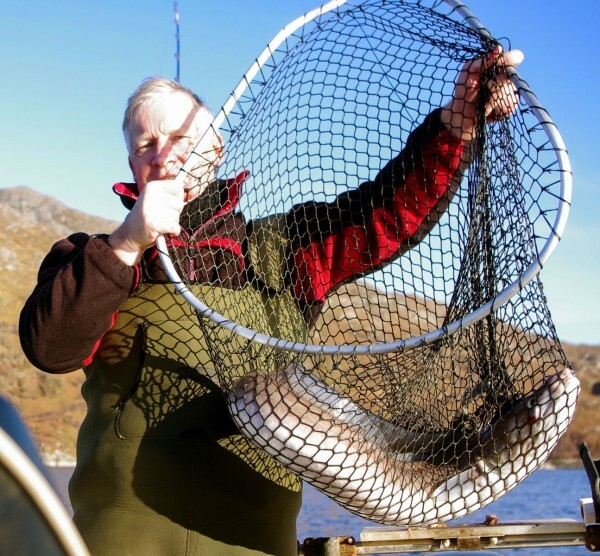 However shore anglers hit fish in much shallower water and they may follow the same pattern as in Etive, moving into the shallows as darkness falls. 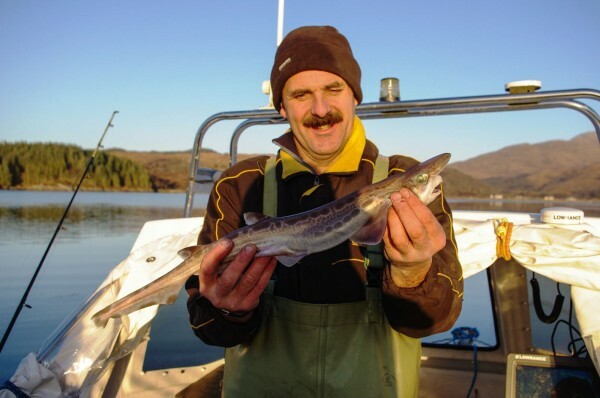 I’ve tried two or three times in the upper basin near Strontian but have been disappointed each time – loads of dogfish and a few whiting but nothing better. 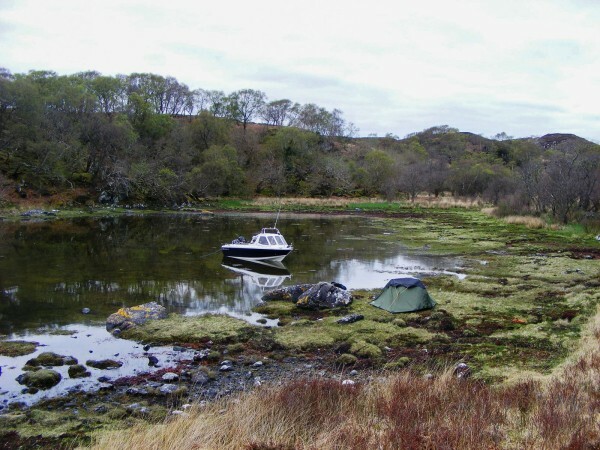 Boat camping is possible in several parts of the loch, and the problem is usually finding a decent campsite rather than a sheltered anchorage, as most of the shoreline is very rough and boggy. I’ve managed a solo camp at the old Iron Age fort at Dun Ghallain (a lovely hidden anchorage) and also on Isle Oronsay, but room for two would be difficult unless you’re very good friends. You can see all my posts on Loch Sunart here. 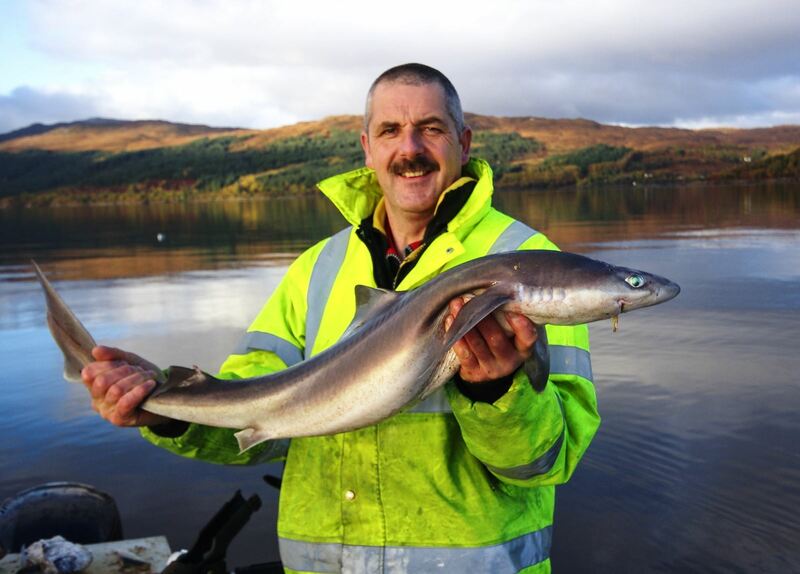 Loch Sunart can be a pretty hard place to fish and I often struggle to get numbers of fish (spotty dogs excepted). Although the quality can be good it can also be difficult to actually find them in the first place. Launching from Salen I’d be tempted to try the deep hole just east of your launch point – it’s about 380 feet deep and can hold good spurs. I usually give it a couple of hours but not much more than that if the fish aren’t showing. 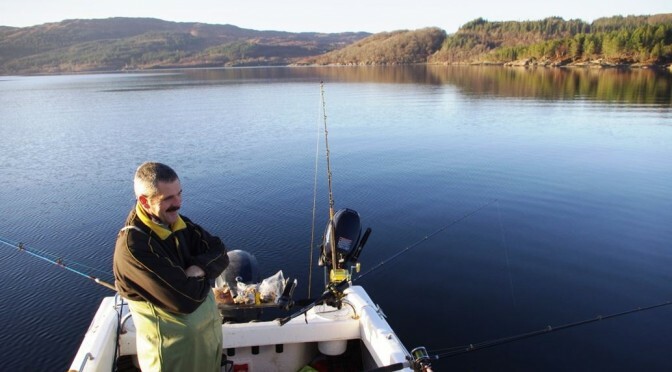 You can try pretty much anywhere down the centre of the loch, but I often have a go in the deepest part of Sunart, near the fish farm at Laga Bay in around 400 feet. 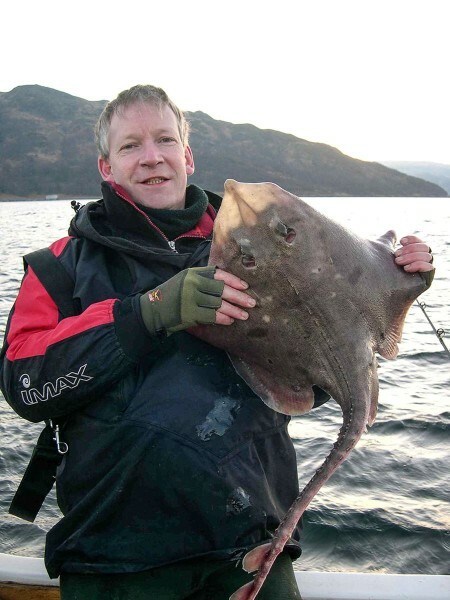 Again spurs are the main target, but I’ve had conger, thornies and skate from here too. Both the mark at Salen and Laga Bay show clearly on the chart and should be easy to find, but there are plenty of other options. 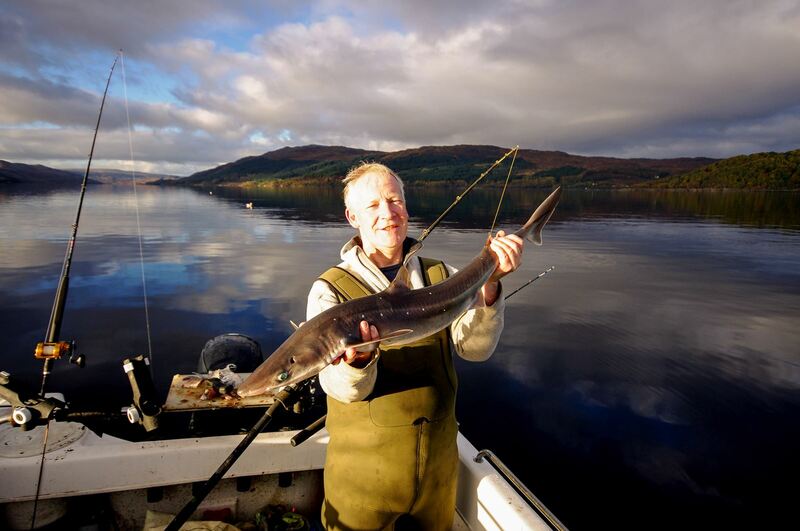 I’m not sure I’d pick Sunart without experience on some of the other lochs first – bigger fish is one thing, but it can be very slow going. Wherever you choose to fish you will need a decent anchor setup with plenty of chain and probably an Alderney ring retrieval system. Is that a Warrior 165 you have there. I have had one built and am soon to collect it from Lancashire and tow it back to my home on the Isle of Skye. Amy comments on the Warrior! The floor of the anchor well is relatively weak and can crack, which lets water in between the hulls. Warrior may well have beefed this up since I bought mine, since I’m not the only one to experience a problem. The hull has a tendency to porpoise unless the engine is trimmed well in. Likewise the boat is very sensitive to weight distribution when you’re running at speed. Against that I’ve never felt unsafe aboard her, and she’s capable of working a fair way offshore (I did a 110 mile trip round Mull a couple of years ago). 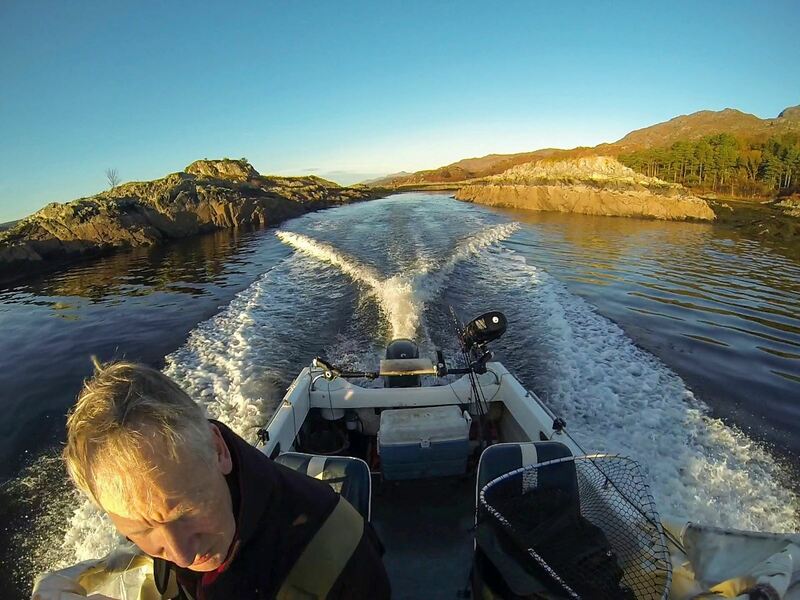 With one or two aboard the Warrior’s a great angling boat, and it can fish three without any real difficulty. Four would be too many for serious fishing, in my view. I’m sure you’ll have plenty of fun with your new toy – although the last time I was in Skye it was blowing horizontal sleet! For anyone wishing to fish Loch Sunart we have facilities at Laga Bay available. Either bring your own boat with moorings and pontoon on site, hire a self drive Pioner Multi, Charter our 38ft Aquastar or a combination of all three! 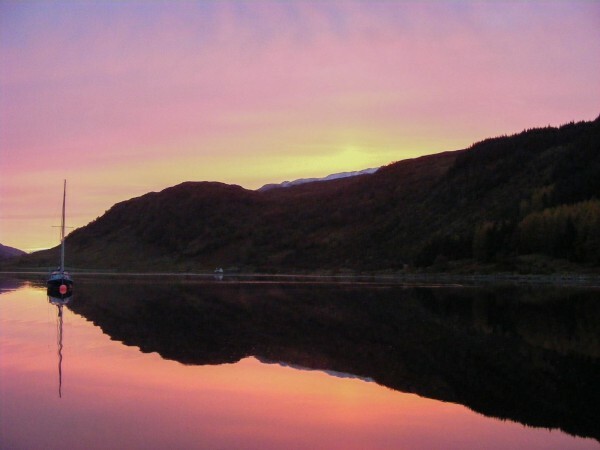 We have lochside accommodation, drying room etc see http://www.selfcatering-ardnamurchan.co.uk if it’s of any interest to you. We have years of fishing experience and can offer advice re marks, weather, sea conditions etc as well as launch & retrieve your own boat if staying on site. 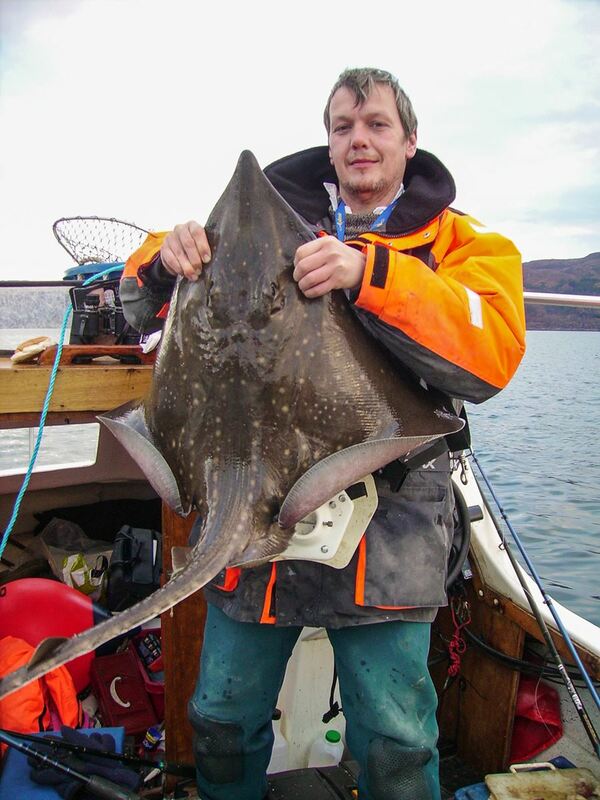 Our Charter boat Laurenca 2 held the Common Skate record for a long time.